Fakery from the Sydney microwave school of art | Daily Review: Film, stage and music reviews, interviews and more. The spectre of art world fakes has raised its inconvenient head again. The latest dilemma concerns a work by Albert Tucker called Faun and Parrot. While the painting has Tucker’s trademark ‘hatchet’ head, red crescent mouth detail, and an aggressive brightly-plumed parrot, blind Freddy could see it’s a fake. A fake Albert Tucker ‘Faun and Parrot’. Why couldn’t Christie’s? Why couldn’t the art dealer, why couldn’t the art consultant – and for that matter the buyer, barrister Louise McBride, who purchased the work in 2000 for her art portfolio? It was Sotheby’s auctioneers who ultimately tarred and feathered it when she approached them to discuss its sale in 2010. It has been suggested that up to 10% of works in the Australian art market place are fake or optimistic attributions. Clearly works by dead artists are more convenient to fake than those by living ones, and the art world has seen a succession of fake Charles Blackmans, Bob Dickersons, Russell Drysdales, Arthur Streetons, Clifford Possum Tjapaltjarris and Rover Thomases — to name a few. As recently as 2012 three Whiteleys were circulating before they quietly disappeared from view. Big Blue Lavender Bay had been purchased for $2.5 million by an investment banker, Lavender Bay was acquired by a restaurateur, and Orange Lavender Bay sold for $1.15 million to a Sydney car dealer. All proved to be ‘problematic’ and all were sold by disgraced dealer Peter Gant. Indeed it was Gant’s Whiteley hat trick which placed the world of art forgeries on high beam. Fake Brett Whiteley ‘Big Blue Lavender Bay’. Yet these recent developments are just the latest manifestation of the desire to spin straw into gold. Painter Will Blundell, whose skills had presumably been acknowledged around elements of the trade for some time, came to prominence in February 2002 when The Sydney Morning Herald ran a story: “Spot the real Streeton (hint: one is worth $345)”. An art collecting couple had paid $52,000 for a sunlit Sydney harbour scene signed ‘A.S.’ in 1996, and were suing to recover the money after discovering it was not a Streeton after all. “This one is mine, and I can prove it,” said Blundell, after examining a photo of the work. “Several people saw me painting it some time in the early 1990s — we were having a laugh about how I changed the outline of the rock to make it look like Kerry Packer’s profile,” he told the SMH. The work to which it bore a broad resemblance had been valued in 1995 by Christie’s at $175,000. Blundell — whose work was more modestly priced at $345 — was both prolific in his output and insouciant about his skills. His ‘innuendos’ as he called them, began their colourful lives in the 1960s. They were painted with period pigments and ‘aged’, which sometimes meant smearing them with instant coffee, and fitting them into 100-year-old frames. Blundell was most forthcoming about his techniques. He visited antique shops for his materials: old frames and cedar panels from the bottoms of drawers. He used old pigments and avoided paints with titanium oxide, which was unavailable pre-1920 and which fluoresced under ultra-violet light. He tried to emulate the fine crazing which appears in the varnish of old works by putting his works in the microwave. This was unsuccessful, providing only a pattern of pin-holes, and prompting curator Barry Pearce’s description of his works as “the Sydney Microwave School”. Opinions of his abilities varied. Australian Galleries dealer Stuart Purves called them “appalling fakes” but some had fooled a number of experts and were sold by reputable dealers and auctioneers as the work of which ever name corresponded to the signature on the canvas. Streeton was not the only Australian painter to attract Blundell’s attention. Deutscher-Menzies auction house was embarrassed by the sale of a Blundell for $64,625,which they mistook for a Charles Conder. It made amends. A William Dobell, valued by Lawsons at $30,000–$40,000 subsequently found a buyer — an ‘unsuspecting collector’, said The Sydney Morning Herald — at $10,000. Blundell maintained that his ‘Nolans’, ‘Whiteleys’, ‘Boyds’ and ‘Dobells’ were never intended to deceive; they were painted “for decorative purposes only” and were sold in the main for $100 and $200 to Germaine Curvers. When this flamboyant 71 year old Belgian-born art dealer died in 1997, and appointed Blundell executor of her estate, Blundell found himself with 1,000 paintings — many of which we can assume he was familiar with — and instructions to distribute the proceeds from their sale to her friends, relatives and charities. Her husband and son were not on the list. And this is what prompted a sensational court case the following year. Husband John Curvers, a retired property developer challenged the will, and Blundell was “obliged to identify the bulk of the collection as his (own) work” There were more surprises. Curvers had kept a meticulous handwritten ledger which recorded the sale of hundreds of Blundell’s ‘innuendos’. There were names, dates and places. On her death-bed Curvers was rueful. “I sold too many, and I didn’t charge enough”. Main image: A fake Brett Whiteley Orange Lavender Bay. 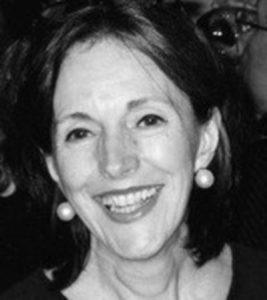 Patricia Anderson is the former editor of the Australian Art Review and author of six books on the art world. There is another scandal with this story. In 1987 a magistrate’s court found that Germaine Curvers had sold David Waterhouse an original Phillips Fox painting, even though her standing as someone who almost exclusively sold fakes was well known in the arts industry and the painting in question was hardly a characteristic work. Brilliant story. A fascinating context to the current story about the fake Tucker. Thanks so much Patricia.